WHAT IS AUDITORY PROCESSING DISORDER/APD? Auditory Processing Disorder (APD) is an incurable, lifelong condition of neurological origin that affects the way that the brain processes sound including speech. 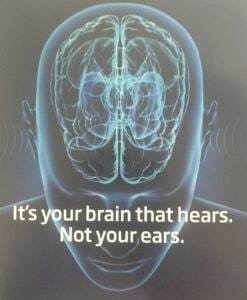 The brain plays a vital role in the hearing process yet many organisations that support people with hearing difficulties (and some audiologists and other professionals) still don't recognise or support APD. Another misconception is this: APD is thought to be caused by damage to the brain and it is therefore a medical condition, not a learning difficulty, although it causes them in a lot of children (and adults). It is important to remember too that in APD there is a unique presenting profile in each sufferer: everyone is affected differently. It isn’t just a question of having it or not. This is why accurate, early diagnosis is vital. APD has been diagnosed in the UK since 2004 using specifically developed tests which must be interpreted by a trained specialist in audiology/audio-vestibular medicine and they need a consultant to interpret and diagnose. No other professional is qualified to diagnose APD. Some places now offer "screening" which is not the same thing at all. There are only a few specialist testing centres in the UK for children with APD. These have been reliably recommended to me and are listed in the "APD Testing Centres 2019" document (which can be found further down this page and in the files of my APD Facebook groups, also listed below.) Test batteries may differ among them, but they have the appropriate tests to cover all possible difficulties; others do not. Also, just a couple of those listed are qualified to diagnose adults. Parents are free to go wherever they choose, but I have been advised that full, reliable testing is not currently found elsewhere, especially among private providers. (*Other testing centres providing assessments or screening tools should not be relied upon as the basis for a valid or complete diagnosis, so patients who choose to go elsewhere do so at their own risk). APD is a disability for life, each child with APD will become an adult with APD. Depending on severity and other mostly unrelated co-existing conditions (because APD rarely, if ever, exists in isolation) it can have enormous negative impact on all aspects of life, particularly education, communication, socialisation and relationships, and seeking and maintaining employment. Even those mildly affected will struggle. APD is a condition which can occur in people with perfect hearing or hearing loss. APD affects everyone uniquely and with varying severity, and it rarely exists in isolation: there are usually any number of other unrelated co-morbid conditions with reciprocal impact, which will also need diagnosis and full, tailored support. APD even has some characteristics in common with other conditions, which makes it harder to spot and rightly called an invisible disability; misdiagnosis is common, or it is missed by being masked by these other difficulties. Recent international research has indicated that APD is thought to be present in 2-7% of children and over 20% of adults, and its prevalence increases steeply in children with learning difficulties with up to 40% of the children having Auditory Processing deficits. APD is thought to be one of the main causes of dyslexia by what is known as auditory dyslexia affecting acquisition of phonics discrimination. In some cases, this can also affect speech, and it is caused by APD via the inability to accurately process, remember and differentiate speech sounds/phonemes. So, APD affects everyone uniquely and with varying severity. It can affect people randomly and intermittently, with fluctuating effects even during one day or one hour. APD is often inherited and there are many other acquired causes, such as frequent ear infections leading to glue ear, or head injury, brain damage from epilepsy, drug or alcohol abuse, damage in utero, effects from other conditions such as ME and Down's Syndrome etc. plus many other possible causes still unverified. It can be acquired at any age and there are many adults with late onset APD due to illness or injury. For a lot of people, APD meets the criteria for a disability under the Equality Act 2010, defined as “a physical or mental impairment that has a ‘substantial’ and ‘long-term’ negative effect on your ability to do normal daily activities.” Although its effects can vary in severity, are unique to the individual, and are random and intermittent, APD is permanent and incurable. Both children and adults have been awarded DLA/PIP/Carers' Allowance for APD depending in its severity and impact on everyday life, plus their other conditions. Each sufferer will need to learn to live with APD, to get around it, but they will still need lifelong support depending on its severity. To meet each individual's particular needs, uniquely tailored accommodations are a lifeline, at school and at work. Because APD also rarely exists alone, further testing is needed to identify every other condition that affects each child and impacts on the APD. With a network of adequate and appropriate support and by using their strengths and compensatory gifts, a child with APD can access education and have a chance at a full, successful life. Also essential is acceptance and support by family and friends, knowing that they are not alone and it isn't their fault that they struggle. APD does not affect intellect, they are not stupid, lazy or broken, and they need to be told that. Self-esteem, confidence issues, anxiety and even depression are common when a child with APD is not fully supported and accommodations put in place. Illness, exhaustion and stress all make symptoms of APD much harder to cope with and coping strategies will fail while the body deals with these other factors. They need frequent sensory breaks at school and at home; time to relax in a quiet place, to reboot the over- saturated brain in peace, and delay-process what has been learned. APD is acknowledged as a recognised medical condition by the World Health Organisation and has a classification of the International Classification of Diseases (ICD) (which lists conditions too) 2018 ICD-10-CM Diagnosis Code H93.299 and the Medical Subject Headings as MeSH D001308. Sufferers of all ages need lifelong support at home, and accommodations in school/college/university, in seeking benefits, finding work and in the workplace. Some APD sufferers (both adults and children) are eligible to apply for ESA, PIP/DLA and Carer's Allowance where the effect on their lives is present most of the time and is substantial, and for some people it can pose risks to safety in certain situations; the CAB can advise on applications. Yet APD is still not fully recognised and supported in the UK. In short, APD can be devastating to a child’s education, communication, socialisation and future career prospects. It continues to affect adults throughout their life and affects all aspects of a person’s life. It needs to be recognised as the often-devastating disability that it truly is, and adequate help and support must be provided, as is the legal right of every child and adult in the UK. Not to do so is disability discrimination, and where there is failure to support at school, cases of educational negligence have been fought, and won. Please do your part in supporting those with APD: as a parent, education or medical professional. Each child and adult with APD needs your help. On the left is a printable version of the explanation above; feel free to share it. APD is a condition that affects the way in which the brain processes sound including speech. APD makes it difficult to understand speech and remember what people say. These are just a couple of the more common difficulties. There are many, but these might be enough to help people understand what it means to have APD. The aim of this website is simply to provide FREE information about Auditory Processing Disorder/APD. This website is for anyone who has Auditory Processing Disorder/APD or suspects it, and wants information on this subject - for adults, teenagers, children, families, friends, professionals, and anyone else who's interested in learning more about APD. Although based in the UK, this website provides information to everyone, everywhere - APD is a global condition. Please visit my information page, there is specific information about APD testing in the UK, coping strategies, research etc. all free for you to print off and share (some of which can also be found below). Also below is a list of my UK and international Facebook support groups (for parents, adults and teenagers/young adults with APD) which you are welcome to join (as applicable). There is also information about the organisation APD Support UK, and my book explaining APD for children, parents and professionals, plus handouts to take to schools etc. Visit my links page, where you will find links to further APD and other invisible disability information. My new blog about Auditory Processing Disorder (APD) and other disabilities will contain information on diagnosis, coping strategies and a range of other topics. Blog posts will relate to various aspects of life with APD, plus discussion of some of the many other conditions that can co-exist alongside APD, compounding its effects (and vice versa). Topics will include the effects of APD on people of all ages, the vital support needed from their family and friends, also from colleagues, employers, education and other professionals, and more. Please visit my "APD and More" website for further information or click the image. I manage 4 UK and international Facebook groups for APD which provide support and advice for parents/families, adults with APD/suspected APD, teenagers and young adults with APD, and a variety of other co-morbid conditions. If that's you, you are welcome to join, as are any interested and supportive professionals where appropriate (please see the group details below; some are restricted by age, location or other factors). These are all closed groups to maintain the privacy of members. The focus is on living with APD and I do not allow selling of any sort, or promotion of any therapies/medications/supplements that claim to cure APD. If you want to join, please be prepared to respect those rules, the privacy of the group and the opinions of other members and admin, or your membership will be terminated. Everyone has their own journey. Please click the image below to apply to join the groups. The APD Support UK Facebook group is primarily for parents in the UK seeking APD diagnosis and support for their children, both at home and at school. Adults with APD and supportive professionals are also welcome, but the focus is on issues relating to families supporting children with APD and co-morbid disabilities. The APD Support for UK Adults group is restricted to UK adults with APD and suspected APD. The focus is on issues relating to adult APD diagnosis plus information and support on all aspects of living with APD and co-morbid disabilitiesas an adult in the UK. The Adults with APD group is an international Facebook group providing support specifically for adults with APD and suspected APD, on diagnosis and all aspects of living and working with APD. Parents and supportive professionals are also welcome, but the focus is on issues relating to adults with APD and co-morbid disabilities. UK Teens/Young Adults with APD is a closely monitored group, a safe place for teenagers aged 13 plus and young adults. Mainly for UK residents, international members and parents seeking support for their teenage children are also welcome,but the focus is on issues relating to supporting teenagers/young adults with APD and co-morbid disabilities. This website and associated Facebook support groups are affiliated to the new unincorporated association "APD Support UK." • provision of lifelong, tailored support in education, work and all aspects of life for individuals with APD of all ages, to accommodate their unique APD profile and any/all other co-morbid conditions and their level of disability. Click here to buy in paperback from Jessica Kingsley Publishers - get a 15% discount by using the code APD. Click here to buy the e-book version from Jessica Kingsley Publishers - get a 15% discount by using the code APD. Click here to buy from Amazon - currently offering 8% paperback discount and 5% off the Kindle version. Alyson Mountjoy is the founder of APD Support UK. She has over 18 years' experience supporting families, researching and writing about APD. 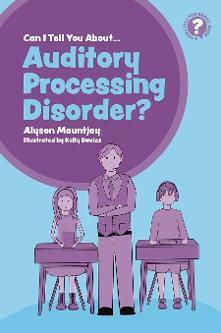 Alyson's son has auditory processing difficulties. Kelly Davies is a freelance artist specialising in portraits and fan art. Commissions undertaken on request. You are welcome to use this presentation and accompanying notes, along with the 2017 GOSH criteria. You can of course use the notes and presentation as a basis for your own notes and/or presentation, so long as they aren't copied word for word. You can also add your own comments on a separate sheet or in your verbal comments to explain how your child is uniquely affected - which is advised. All I ask is that anyone printing and sharing the presentation and notes to please retain my name and copyright, and print and use the documents unchanged. The notes can be used to explain to your child's school about what it means for your child to have APD, and why tailored support is vital. They can be used with the presentation, but don't use the presentation alone as it contains headings and very little detail.The notes should be given as presentation handouts and the posters can be printed to put up in school. I have prepared 12 colourful A4 posters to reflect topics from the slides in the presentation, each with one line reminders on the impact of APD on education and everyday living. These can be printed and distributed separately from the presentation notes, as an accompaniment to the information sheet, or as additional presentation handouts. More colourful A4 posters with one line reminders, on a variety of additional topics - not all are included in the article and presentation but also concerning the impact of APD on education and everyday living. These can be printed and distributed. Another set of colourful A4 posters with one line reminders, on a variety of additional topics - again additional to the article and presentation but also concerning the impact of APD on education and everyday living. These can be printed and distributed. A short document about APD: a quick read for those who only have time for the basic points. It contains the information about APD on the front page of this website which you can take to inform your child's school about APD, or to use when seeking referral; it also has a link to this website and one to the GOSH APD information page. More new information sheets and articles on APD are available on the Information page. FOR CHILDREN AND ADULTS. Including new location restrictions and updated contact details for some centres. GREAT ORMOND STREET/ GOSH UPDATE: GOSH will now only be accepting referrals for children living within the M25 area (Outer and Inner London) aged 7-16. Testing centres not on this list do not provide reliable full testing, merely assessments or screening tools which should not be relied upon as the basis for a valid or complete diagnosis, Patients who choose to go elsewhere do so at their own risk. Referral criteria © APD Clinic at GOSH - April 2018. Other testing centres may have different criteria and age ranges, so it is best to ask each testing centre what they need before seeking referral. Referral criteria © APD Clinic at the Nuffield Hearing and Speech Centre at RNTHEH. Other testing centres may have different criteria and age ranges, so it is best to ask each testing centre what they need before seeking referral. *Please note: Nuffield WILL still test children with very high functioning autism. Please visit my Research page for recent research articles on APD by eminent international professionals. My name is Alyson Mountjoy. I already have many years of experience as co-founder of APDUK, a UK voluntary organisation supporting APD sufferers and their families. It was founded in in 2002 by parents like myself seeking diagnosis for their child. The existence of that organisation supported the need for research and testing provision, and APD testing was made available in the UK in 2004. I was Chair for 9 years (initially acting as Vice Chair for 3 years before that) and I co-ran its APD support helpline for several years. Also I was editor of its newsletter: copy editor for issues 1-6 and graphics and copy editor for issues 7-11, up until Autumn 2014 when I left APDUK. (It no longer exists as an organisation and my contact number on the newsletters is no longer valid). I am owner of several APD support forums and I maintain regular contact with both UK and international professionals and research projects. I have years of experience and qualifications in working in special needs education, first working at a residential school for pupils with emotional and behavioural difficulties, then supporting secondary school age learners with Specific Learning Difficulties (in particular severe Dyslexia) as a special needs support assistant at a resource-based secondary school. I also have extensive experience in administration and desktop publishing and a qualification in counselling skills. I am also the author of educational resources for children with literacy /key skills difficulties and dyslexia, material for reluctant teenage readers/readers with a lower reading age, a writer of a series of paranormal fiction novels for adults, and a fully qualified complementary therapist. A lot of the information on this website which is copyright to APDUK is contained in handouts that I wrote myself while I was Chair. I have added more of my own articles and information sheets on the information page of this website, and even more will be added over time. You are free to use it as you wish, as long as you respect the copyright to me or to APDUK, and retain it when you print anything found on this website. There are many of my articles in the APDUK newsletters and my new book "Can I tell you about Auditory Processing Disorder? : A Guide for Friends, Family and Professionals," commissioned by the award-winning Jessica Kingsley Publishers, is out soon on Amazon. Sadly APDUK no longer exists; but its ethos remains. I will continue raising awareness of APD, providing support and information and campaigning for recognition of APD and UK-wide standardised diagnosis and accommodation UK wide; those things should be an automatic right for all, not a privilege. Please do your best to spread the word, by sharing the information on this website, raising/ signing petitions, lobbying for recognition and raising awareness in any way you can. Your children and theirs will thank you for it, because APD can run in families. N,B This website is now associated with the new unincorporated association "APD Support UK" formed in 2017, for which i was appointed Chair. The aims of this association and its committee are to promote wider recognition, standardised testing and tailored support for children and adults with APD throughout the UK. We also support those with the same aims in other countries. Children with APD will become adults with APD, and parents can learn a lot from adults with APD to help their children. By anticipating and pre-empting the problems experienced in adulthood, they can better prepare their children by teaching them the strategies that adults use for the issues they already face. Past research articles are available on this website as part of the former APDUK newsletters. Any future research findings will be published on this website too. Please contact me if you need further information for yourself, your child, or a person with APD (or suspected APD) in your care as an educational or medical professional. Any information provided via my website, Facebook groups and handouts is my personal opinion based on many years of experience and my own research, gained while supporting parents of children with APD and adults with APD. It is not medical opinion, and should not be taken as such. Readers are free to make up their own minds and use the recommendations as they see fit. Parents and adults with APD are free to choose where they seek diagnosis, but be aware that only specific testing by a specialist audiologist (NHS or private) can say for certain whether APD is present. Anything else is mere speculation and assessments elsewhere may be incomplete or incorrect and may not constitute a valid diagnosis without the appropriate testing. Permission is granted to use/print/copy and distribute all information/articles provided, but only if done so unchanged, and copyright/authorship must be referenced to protect the intellectual property of any and all authors/contributors. The support materials on this website are not provided with permission for resale or for profit.